The Rostra Healthcare Group of companies have been created to provide an efficient and effective solution to both National Health Service and private patients undergoing treatment of symptomatic varicose veins, cosmetic veins including thread veins, spider veins and telangiectasia; and other cosmetic treatments including laser hair removal, laser tattoo removal and anti-wrinkle treatments using injectable cosmetics and dermal fillers. Rostra Healthcare Ltd will at all times endeavour to deliver localised care to patients, offering efficiency to work alongside the NHS and Governments modernisation plans. Focusing on the delivery of the highest standards of care in extremely efficient timescales. Comprehensive care pathways delivered to the patient by dedicated and speciality specific clinical teams. The care received by patients within the Rostra Healthcare Ltd model is at the heart of our organisation and excellence is our only acceptable standard. Strict clinical governance protocols, formal audit programmes and quality assurance/improvement programmes are the standards of excellence demonstrated within The Rostra Healthcare Group. All clinical procedures are recognised and approved for use on patients by the National Institute for Health and Clinical Excellence. Continual audit and education ensures that all clinical staff within Rostra Healthcare Group are trained to the highest levels in all the latest technological advances and procedures. The aim of Rostra Healthcare Ltd is always to provide our hospital partners with the most efficient method of providing you, the patient, with highest quality and speedy care. Where a hospital has rooms available that meet the requirements of the service, then Rostra Healthcare Ltd will undertake to utilise this facility from the hospital and provide the patient care within this setting. The way in which Rostra Healthcare Ltd works allows the hospital to focus a specific group of patients into a dedicated channel and because of this you will be offered an appointment with the Rostra Healthcare Ltd clinical team within 6 weeks of us receiving your referral from the hospital. You will be invited to attend the Rostra Healthcare Ltd diagnostic and assessment clinic within a specified department of the hospital. During this visit you will be seen and assessed by the Rostra Healthcare Ltd clinical team and whenever appropriate you will be offered the opportunity of a same day appointment for treatment of your varicose veins using a combination of the Rostra Healthcare Ltd clinical team and the hospitals own Consultant Vascular Specialist. As with all the models of care offered by Rostra Healthcare Ltd, you will always remain a patient of the NHS hospital to which you were referred, and will remain under the care of the Vascular Specialist from this hospital, Rostra Healthcare Ltd is a working partner of the hospital and provides a comprehensive patient care service that compliments the other work of the vascular unit and the hospital. At all times Rostra Healthcare Ltd are completely focused on you the patient. 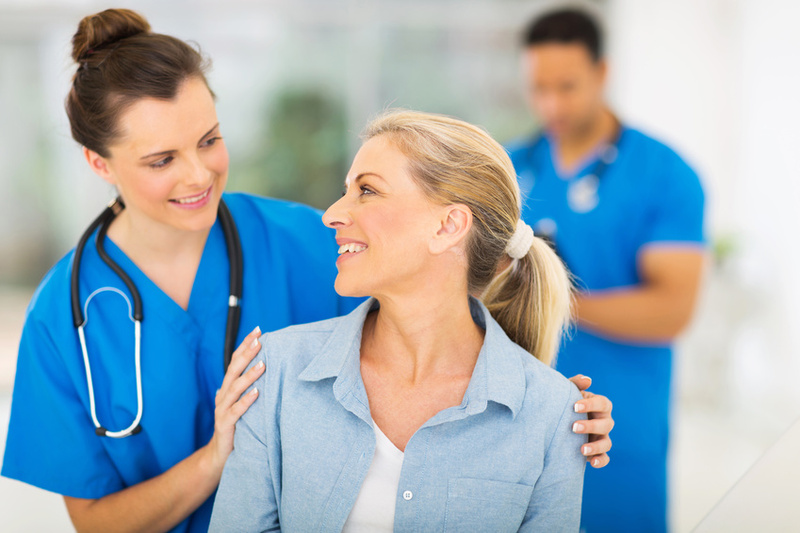 You will receive a total care model, which is effective, efficient and caring. This will ensure that you are always fully aware of what is happening to you and that you will be made as comfortable as possible during your time under the care of Rostra Healthcare Ltd.
How do I become a patient under the care of Rostra Healthcare Ltd? There are various models within which you will become a patient in the care of Rostra Healthcare Ltd. This may be at your G.P referral stage or once the referral has been sent to the hospital local to you. At the point in which Rostra Healthcare Ltd receives your referral we will contact you to arrange an appointment. Your appointment will be within 6 weeks of contact. If the date given is not suitable for any reason an appointment will be made which is within the following 4 weeks. What information do I get prior to my procedure? Once a suitable appointment date has been found you will be sent written confirmation of the appointment and will receive an information pack including the treatment details as well a section on questions most frequently asked and general information on varicose veins. Once you have arrived for the treatment you will have a designated nurse who will look after you for the duration of your visit. They will also be with you during the procedure. A further investigation will take place including a scan of your leg/s, this will confirm your diagnosis and suitability for treatment. What happens once my treatment has taken place? Once your laser treatment has taken place you are free to leave the facility providing you feel well enough. You will be given further information to take away with you, this will include post treatment advice and contact numbers for any questions you may have during recovery. A follow up appointment will be made prior to departure for 10-12 weeks after your procedure, this will enable the surgeon to check the progress of your leg/s and also to administer any follow up treatment if necessary. How do I find out what the procedure entails? It is the aim of Rostra Healthcare Ltd to make you comfortable and well informed at all times. All the information on the procedure will be given to you in written format both before your treatment date and also on the day of treatment, it will also be explained to you by your designated nurse during your examination. If you have any questions either prior, during or after treatment you will be given the opportunity to speak to someone either on the telephone or face to face. Rostra Healthcare Ltd is dedicated to providing the highest standards of care. As such, all services delivered by Rostra Healthcare Ltd adhere to strictly defined quality assurance reporting and improvement programmes, alongside formal outcome and patient satisfaction reporting. Continual monitoring and updating of our service provision ensures excellence remains our absolute minimum standard. Rostra Healthcare Ltd is a service driven provider of dedicated vascular care, offering cost effective efficiency to the National Health Service. As a direct result of the efficiencies Rostra Healthcare Ltd is able to offer to the Trusts, all costs for the complete service are in line with the Department of Health published tariff prices for care provision. Rostra Healthcare Ltd provide patients with a choice in how their treatment will best meet their individual needs. The National Health Service is currently expanding more quickly than ever before. Rostra Healthcare Ltd offers diversity to healthcare provision, supplementing the current NHS capacity. This offers a significant opportunity for Trusts to ‘free up’ much sought after operating theatre capacity for other surgical procedures. The service will be delivered through fixed sites within either the primary or secondary care provider. Rostra Healthcare Ltd is a working partner of the NHS Trust. Patients will always remain a patient of the NHS provider to which they were referred, and will remain under the care of the Consultant Vascular Specialist from this hospital. Our patient’s safety is of the utmost importance. It is for this reason that Rostra Healthcare Ltd adheres to strict clinical governance protocols and collects and monitors robust, comprehensive audit data. Continual monitoring of therapy provision for the treatment of varicose veins ensures that we are able to constantly provide the latest advances in healthcare technology. Rostra Healthcare Ltd is an independent sector healthcare organisation established to provide a total care model to patients, providing effective, efficient, accessible and caring solutions to both primary and secondary providers. Working closely in partnership with NHS Trust Hospitals and, alongside the Governments NHS plans, Rostra Healthcare Ltd provides the professional care and management of patients referred for the treatment of symptomatic varicose veins. 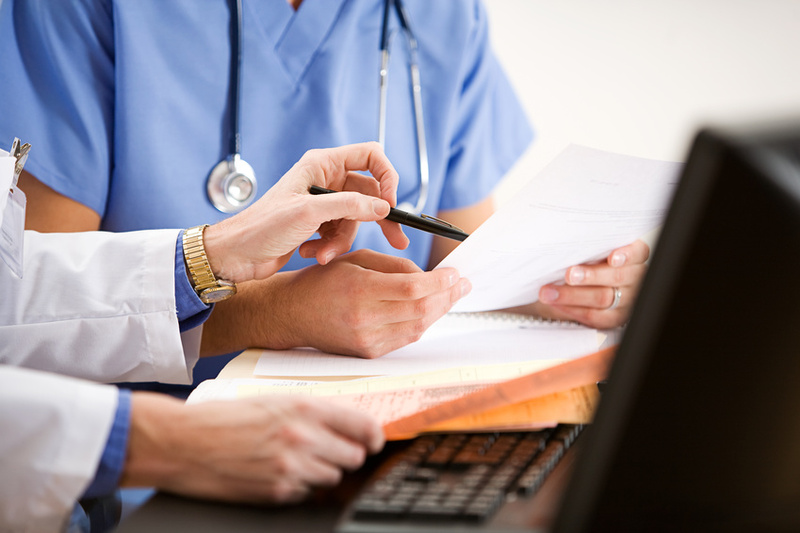 The principal benefits offered by Rostra Healthcare Ltd include: flexibility in capacity and costs, waiting list management, appropriate resource utilisation, additional choice for patients, strict clinical governance and quality assurance programme/reporting and formal outcome and patient satisfaction programme/reporting. At all times we strive to develop partnerships with our customers and present the highest quality services demanded by today’s modern National Health Service. Our patient centric approach ensures the services we deliver are of the highest standard, providing a dynamic and flexible approach to patient care, in a safe and secure environment local to the patient. Our core service principal supplies minimally invasive therapy recommended by the National Institute for Health and Clinical Excellence (NICE), driven by the latest available technology, with all care underpinned by strictly defined clinical governance protocols Rostra Healthcare Ltd will continually administer the most up to date, recommended treatments for their service provision, ensuring that patients receive the most appropriate clinic care. All of the services undertaken by Rostra Healthcare Ltd are controlled and regulated by the Care Quality Commission. Rostra Healthcare Ltd is registered with the Care Quality Commission as regulated provider. Within the Rostra Healthcare Group, Rostra Medical Ltd provides a professional and effective sales and marketing platform for the presentation and promotion of concept regarding the services delivered by Rostra Healthcare Ltd. This approach facilitates the introduction to potential customers of all currently recommended NICE CG168 minimally invasive varicose vein treatments such as endovenous laser ablation, endovenous radiofrequency ablation, endovenous mechano-chemical ablation and ultrasound guided foam sclerotherapy. Within this model, a bespoke training and professional development program is developed to ensure that all services are introduced with the maximum efficiency and safety. All sales and marketing staff working within Rostra Medical Ltd are accredited within the medical industry and have attained certification regarding the knowledge requirements and professional expectations of personnel working within a clinical care environment. Rostra Beauty has been created to deliver a high quality service to patients seeking cosmetic laser based therapies such as pain-free laser hair removal and laser tattoo removal. In addition Rostra Beauty Ltd also offers anti-wrinkle treatments using injectable cosmetics such as botulinum toxin type A (such as Botox, Dysport and BoCouture) and dermal fillers (such as Juvederm Ultra). Successful treatment can provide a significant boost in personal confidence and feelings of well-being and can help to maintain a young looking and healthy appearance. These treatments are offered via the Rostra Beauty salon located in the small, South Yorkshire market town of Penistone and are all delivered by a team of fully qualified and Registered Nurses alongside professionally trained Healthcare Assistants.